The Senator James Dever Residence was built circa 1850 as part of a group of three pre-fire brick buildings on Chipman Hill in Saint John. The residence is designated a Local Historic Place for its architecture, for its survival against two separate incidents of near loss (fire and urban renewal) and for its association with early occupant Senator James Dever. This property is one of three brick Neo-Classical town houses in succession that descend from Union Street to King Street in one of the oldest parts of Saint John. This building was at the boundary of the area destroyed by the Great Fire of 1877. The hard work that was put into saving it and its two sister properties broke the fire and helped prevent its spread to Union Street. The other buildings on the street and nearby on King Street were demolished during Saint John’s urban renewal program. The group of three pre-fire brick residential buildings at the top of Chipman Hill were slated for demolition as well, but citizen action led to their preservation. The simple symmetrical style of these three older Neo-Classical brick buildings provides a stylistic contrast to the more ornate late-Victorian styles found in the adjoining post-fire district. The Senator Dever Residence, like its two sister buildings, has a steep side-gable with no roof overhang. Aside from the entrance, ornamentation is limited to a slim string of dentils at the roof-line cornice and quoins along the edges of the exterior walls. The entrance is the prominent feature of this home with its beautiful hand carved door, sidelights and transom. Ionic columns support a pedimented entablature above the entrance. The foundation of ashlar masonry that descends with the grade of Chipman Hill also adds to the heritage value of the building. The lots containing this home and its sister homes were once part of the Ward Chipman estate. 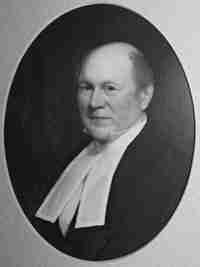 Ward Chipman was an important lawyer and politician in early Saint John. The street is still named for him, although his own grand residence on the other side of Union Street was demolished to make way for the Carnegie Library and the YMCA. The building date of the three Chipman Hill properties is unclear. It is likely that they were built before Ward Chipman’s sale of the land in 1853 to grocer Robert Armstrong and his brother-in-law Aaron Hastings. The lots had already been divided on city maps before the sale, the sale price being high for land only. The style of the buildings is consistent with an early date. This was the home of Senator James Dever from the early 1870’s until his death in 1904, while his widow lived here for many years later. James Dever was born at Bellyshannon, Ireland in 1825. He came to Saint John as a child with his parents and was educated here. He served through various clerkships in general stores and later carried on a wholesale wine and spirit business and accumulated considerable property. He retired from business life soon after the Fire of 1877. 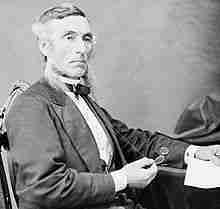 James Dever was in politics before Confederation and shortly after Canada became a Dominion he was called to the senate as a representative of the Saint John District and of the Roman Catholic denomination as there were no members of that church among the 12 senators from New Brunswick. He was called to the senate in 1868 but was a spectator of the historic session of 1867 and attended every session until his death in 1904. His 36 successive years on the senate has proven to be the longest tenure served by a Saint John representative and the third longest tenure of all New Brunswick senators. This post has already been read 143 times!